The fabulous interchangeable ring coins by Nikki Lissoni are a stylish addition to the popular collection of jewellery that you can customise to fit your style, mood or occasion. Start your Nikki Lissoni ring collection with this coin that fits the Nikki Lissoni rings. 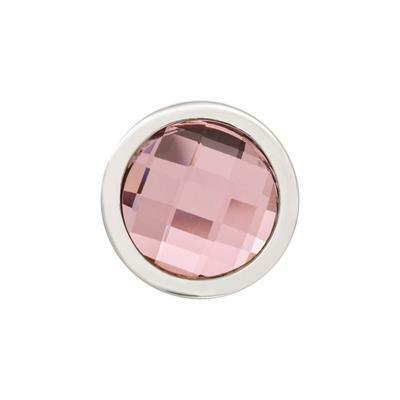 The Swarovski coin features a pink faceted crystal in silver plating.